Headcovers is on a mission to empower people who are experiencing hair loss. Wigs for cancer patients don’t need to be dreary or inconvenient; we offer an expertly curated collection of stylish pieces that are vetted for quality and comfort. You may even discover that owning a cancer wig reduces some of the stress caused by chronic illness, allowing you to divert your time and energy elsewhere. Buy wigs online with Headcovers - we know you’ll find a perfect match. There’s no doubt that illness can make you feel distant from the life you used to know, especially when it comes to hair loss. However, with Headcovers on your side, a return to normalcy is finally within reach. Whether you’re looking for synthetic or real hair wigs for cancer patients, we’ve got choices, from short hair to long, available in a wide variety of colors, textures, and styles. Finding cancer wigs should be empowering, not stressful, so if you feel like you’re in over your head (no pun intended), connect with one of our certified cosmetologists for a free personalized consultation. Call 1-800-264-HATS during business hours to reach our team. At Headcovers, we’re well aware that the idea of covering your head with an itchy wig is probably enough to make you cringe, especially if you’re feeling sick from chemo. However, we have over 23 years of experience serving cancer patients specifically, and we curate our wigs for chemotherapy patients accordingly. On our site, you won’t find cheap or uncomfortable goods. All of our wigs for cancer patients feel just as good as they look, and are intended to last for months, if not years. Expect high quality at wholesale prices, with customer service standing by to offer guidance or a second opinion if needed. We understand that cancer doesn’t just wreak havoc on the body; it takes a mental toll as well. Many people find that having chemo wigs picked and ready to go before chemotherapy begins can help ease the transition as your hair begins to fall out. Talk to your doctor about what kind of hair loss to expect. If total loss is a real possibility, we recommend buying a wig ahead of time so that when the chemo starts to, you know, show, you’ll have a substitute hairdo waiting and ready to go. Plus, starting the wig hunt before the stress sets in will help ensure that you have time to research and shop in order to make a well-informed decision that you can feel confident about. Human hair wigs. Real hair wigs for cancer patients feel just as real as they look. So when a strand of hair brushes your cheek, it’ll feel completely natural. But keep in mind that these take more time to care for and maintenance, as human hair wigs are more fragile overall. Synthetic hair wigs. Beloved by many for their low maintenance ease, fake hair wigs have a highly realistic appearance thanks to modern technology. They come pre-styled, so you can grab and go, and are great for first-time wig wearers. Sometimes, even the best quality wig can irritate a sore scalp. Our collection of wig caps and cushion bands can help make the experience more tolerable - even comfortable. Wig caps. These create a smooth barrier between your head and the wig. For chemo patients, we love the Aloe Wig Cap by Cardani, which blends real aloe with bamboo for antibacterial, naturally cooling bliss. Cushion Band. Our therapeutic Cardani Cushion Gel Headband eases pressure while distributing weight evenly around the head. It’s x-ray transparent, and was specifically designed for chemo patients with scalps in need of a little extra TLC. Wig Gripper. For a soft cushion, try our Wig Gripper. It keeps your cancer wig in place to eliminate that annoying “slipping” feeling and can be worn under scarves and hats as well. If you’re buying a chemo patient wig due to an illness like cancer, your provider may chip in - or even cover it in full. The key is to use the right terminology. Wigs for cancer patients are known as “cranial prosthesis” in the healthcare world, so be sure to phrase it correctly when you’re talking to your insurance company (they’ll be more likely to give the green light). Ask your doctor for a cranial prosthesis prescription to include in your ICD-9 code. After you buy a wig, just let us know that you’re hoping to get reimbursed, and we’ll send you a special receipt using medical lingo. We’ve had success working with all major insurance providers when it comes to reimbursing customers for their wig purchase, so please let us know if we can help. Whether you’re going through hair loss yourself or are helping a friend or family member, Headcovers is here to help. Wigs for cancer patients have come a long way since the stiff stuff of old, so there’s no reason why you shouldn’t be thrilled with your new head of hair (well, except for the fact that it’s replacing your old one). Today's wigs are comfortable, breathable and most importantly, natural looking. Our How to Buy and Wear a Wig guide shares essential tips for navigating the process, from how to find your head size (all you need is a measuring tape) to the difference between synthetic and human hair wigs for cancer patients. We even have a Wig Hairstyle Guide for Different Face Shapes to help you discover the most flattering hairstyle based on the geometry of your face. Wigs for chemo patients aren’t the only coverage option we offer. We’re proud of our selection of hats and scarves as well. Find your new favorite headcover in soothing materials like bamboo, cotton, and even silk. We’ve got hats for everyday wear, like slouchy beanies and versatile berets as well as sun hats for outdoor exploring (armed with UPF 50!). Our pre-tied scarves are just as easy to wear, though the lend an elegant look. Sit back, relax, and shop our entire site without worrying about fit or comfort, because we’ve curated our selection with you in mind. Metal-free deodorant. Mainstream deodorant is often infused with aluminum, which can interfere with radiation during chemotherapy. We love Altra’s Non-Metallic Deodorant because it’s made of natural materials and won’t irritate skin. Superpower moisturizer. The intensely drying effects of chemo can be hard for your skin to keep up with. Moisturizing with thick cream can help protect and restore. Try Resta Lite Cream or Alra’s Therapy for Dry Skin for physician-approved formulas. Almond oil also works wonders on a parched scalp, because it’s packed with Vitamin E and heals skin as it restores moisture. Hypoallergenic cosmetics. Just as we recommend hypoallergenic jewelry for people with sensitive skin (or anyone, for that matter), using gentler cosmetic products with naturally derived materials will help keep irritation at bay. Headcovers isn’t just another online retailer. We were founded with heart, soul, and a purpose - to provide comfort to cancer patients and individuals experiencing hair loss. Our story began in 1989 when our founder, hairstylist Carol Galland, was diagnosed with Stage II breast cancer. When she lost her hair due to chemo, she was appalled at the wig options available and vowed that, if she survived, she would make the world of wigs a better place. The products at our wig store aren’t decided on by numbers or passing trends. Each wig is carefully selected for quality and timeless style. We know that illness is hard enough without the anxiety of coping with hair loss, so we’re here to help you thrive on your way back to health. 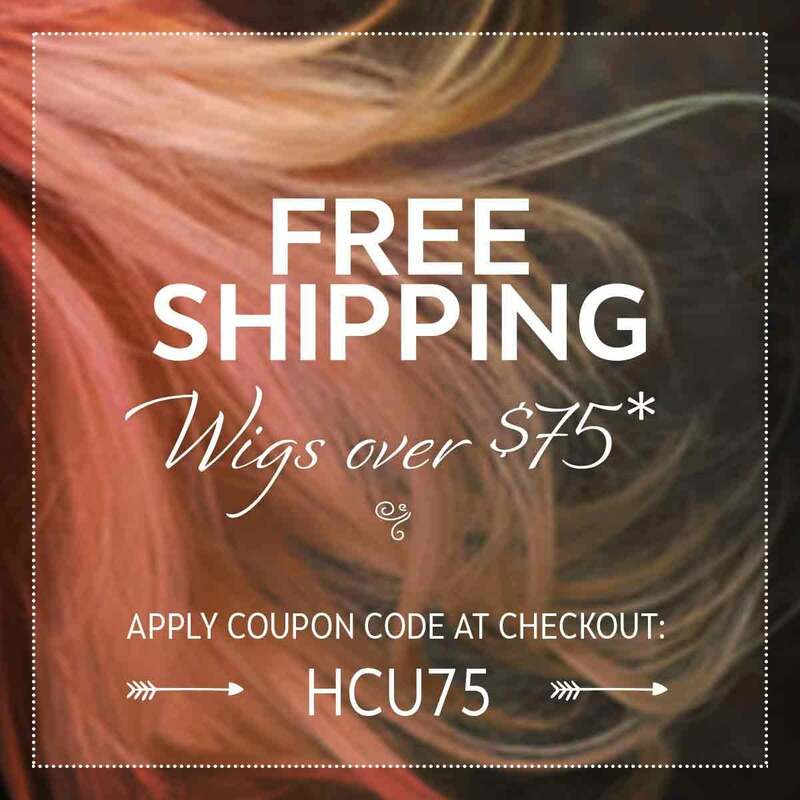 Be sure to click through our Wig Library to take full advantage of the resources we offer.